Published: May 13, 2014 at 12:00 p.m. 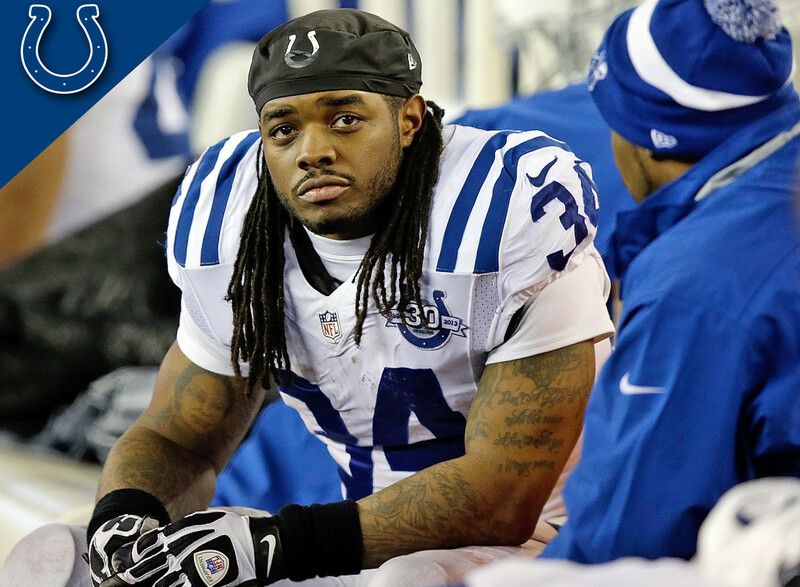 Updated: May 13, 2014 at 12:15 p.m.
Colts GM Ryan Grigson will announce that the trade for Trent Richardson and the team’s 2014 first round pick was really just a psychological experiment. And we’ve all been taken to school. Morgan Moses is going to make "fear the beard" a very popular phrase among Washington fans. The Seahawks will attempt to trade out of the 2015 NFL Draft altogether. I guess when you have all that money locked up in the secondary, you can't afford players. But watch out for Kevin Norwood. Was San Francisco the only team interested in improving over the weekend? Well, the joke will be on the 49ers when they have the last pick of the first round in the 2015 NFL Draft. Tom Brady will start to feel some competition from Jimmy Garoppolo. Not as a challenger to his starting quarterback position, but rather his position as the most handsome quarterback in New England. The Panthers will finally chuck it all and play one-receiver sets with Kelvin Benjamin. I mean, it's not a bold prediction to say he will lead the team in receptions because he's figuratively the only receiver on the team. Logan Thomas has a strong arm but is often careless with the football, which means he's a perfect complement to Carson Palmer. But Thomas would be a standout tight end. Jordan Matthews will have a fantastic rookie season, which will lead the Eagles to put him on the trade block prior to next year's draft. Cody Latimer will be blamed for the aforementioned interceptions. Because it's never Peyton Manning's fault. Never! Jason Verrett won't be a true Chargers cornerback before he goes through the rite of passage where he intercepts Peyton Manning. Verrett will make it happen in the first meeting. Darqueze Dennard will have the most interceptions of anybody in 2014. But that's only because he gets to go against Andy Dalton in practice every day. Wait, the Chiefs had a first-round selection? I couldn't tell because the Dee Ford pick came right after Johnny Manziel was selected and I thought the first round had ended right there. The Bears passed on Ha Ha Clinton-Dix, but it will be the Packers who get the last -- wait for it -- laugh when Clinton-Dix repeatedly intercepts Jay Cutler. Laugh puns will dominate Wisconsin newspaper headlines for years. Brandin Cooks will score nine touchdowns this season. Not one of them will come when he is in your fantasy starting lineup because, Saints. Third-round pick Billy Turner will outplay first-round pick Ja'Wuan James on the team's offensive line. Jace Amaro will have more receptions than Eric Decker this season. C.J. Mosley and Tim Jernigan will have outstanding NFL careers with multiple Pro Bowl bids. I mean, if Ozzie Newsome drafted them, then they are already earmarked for NFL greatness. Seriously, how does this keep happening? Greg Ellis had a fine career for the Cowboys, but he will always be known as the guy who the Cowboys drafted instead of Randy Moss. Welcome to your life, Zack Martin. Ryan Shazier will torment the two Ohio teams for a decade just to really rub it in. The Bears just missed on Aaron Donald and Tim Jernigan, but it won't matter. Will Sutton will go down as the top defensive tackle of this draft. Odell Beckham will lead all rookie receivers in receptions and yards. But he will still trail teammate Victor Cruz in signature end zone celebrations. No matter how long Taylor Lewan plays in the NFL, he will end up as the host of "Total Access" once his playing career is over. With the addition of Eric Ebron, the Lions will run the football nine times this season. Not figuratively, literally nine times the entire year. Anthony Barr has played defense for just two seasons, but that will make him a great fit in Minnesota where they don't play defense anyway. But Barr will be the Defensive Rookie of the Year. Johnny Manziel is going to eventually sign a free-agent contract with the Miami Dolphins at some point in his career, right? The Browns got Johnny Football! Johnny will set the football world on fire! The Browns will make the playoffs. LeBron James will come back to the Cavaliers. And, wait, what happened to Josh Gordon? Oh man, never mind. Josh McCown will extend his mark of most passes thrown to a player taller than 6-foot-5 with the arrival of Mike Evans and tight end Austin Seferian-Jenkins in Tampa Bay. We won't officially feel old until Jake Matthews' sons start playing in the NFL. But the Falcons got the best value and the team returns to the playoffs in 2014. Khalil Mack will show up to Oakland with great excitement to be teammates with all of the players his grandparents grew up watching. Robert Woods will welcome Sammy Watkins to the squad, if for nothing else because he will have someone to commiserate with when EJ Manuel can't get him the ball. Blake Bortles vs. Ryan Tannehill will be nice. But the true rivalry down the Florida coast will be between Lindsey Duke and Lauren Tannehill. Wow. St. Louis really did a great job with some smoke screens, some deception, and overall, a general improvement of the squad. Greg Robinson and Aaron Donald will be outstanding. But, uh, is Sam Bradford still the quarterback? He is? Yeah, St. Louis will go 8-8. Derek Carr will have an outstanding career for the Oakland Raiders and the Texans will kick themselves for passing on him. And it will mark the second time in history David Carr screwed the Texans.